In a recent a article by e-amyna titled The YUNUS Project for the defence of the Turkish naval bases (in Greek language), the author analyzes the effectiveness of the YUNUS Project to defend the main naval bases and harbors of Turkey against surface and sub-surface threats. 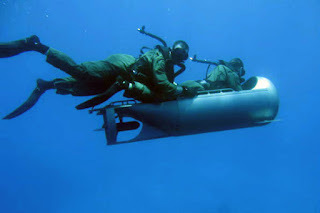 In the discussion that followed the article and in regard to the Greek Swimmer Delivery Vehicles (SDVs), a reader (kostaspgn) posted a nice video about the Sualtı Taarruz Grup Komutanlığı, the Turkish Underwater Offence Group Command, known also as SAT, which is the special operation unit of the Turkish Navy, based in the Foça Naval Base near İzmir, on the Aegean coast of Turkey and Istanbul. 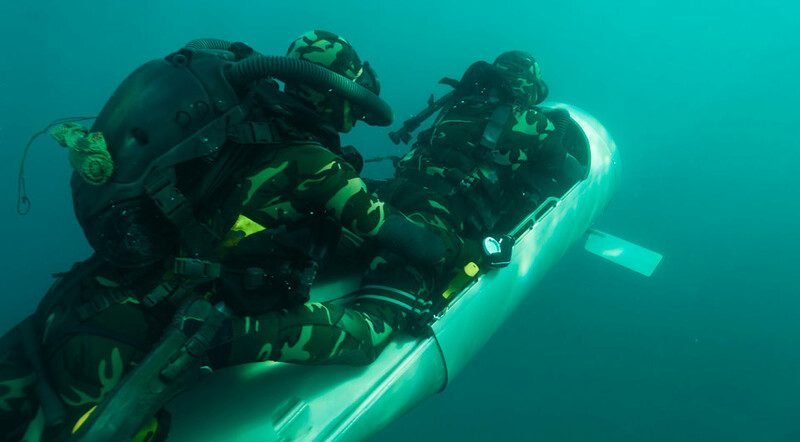 The missions of the Su Altı Taarruz (SAT) include the acquisition of military intelligence, special reconnaissance, direct action, counter-terrorism and visit, board, search, and seizure (VBSS) operations. 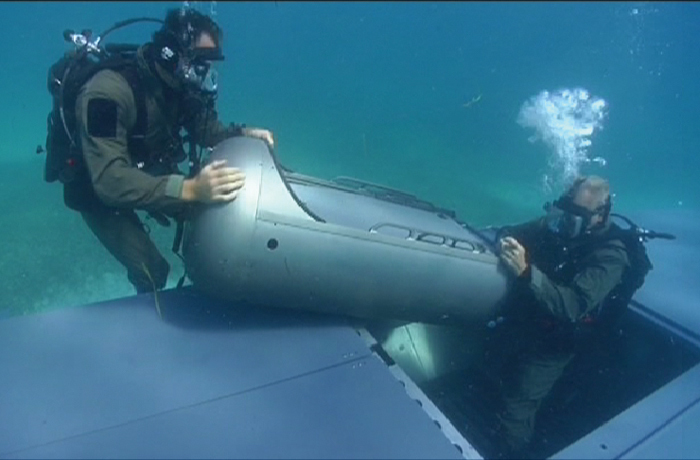 They are trained and organized in a similar way to the U.S. Navy Seals who have close training relationships with them. 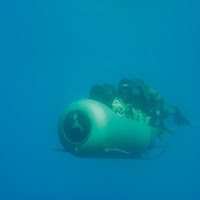 In that video, for just two seconds, from 2:23 till 2:25, two SF divers use a STIDD Diver Propulsion Device (DPD) (many thanks to my friend, blogger and expert in the field of mini-subs, H.I. Sutton, for the recognition of the vehicle and of course kostaspgn who spotted first the device!). 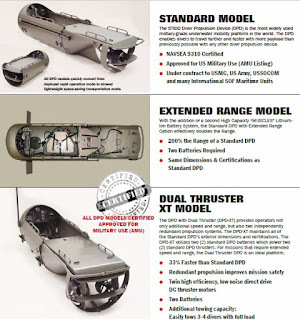 I should mention here that this article does not include any actual photo of the Turkish DPD, but I find useful to publish this article about the capabilities of this device as a follow-up from the Greek SDVs article. Therefore, I may say that the title is not the most accurate one. Some screenshots are following before the complete video. It was rumored that Turkey had purchased this type of DPD, but this is perhaps the first time they had revealed that they have a type of them. 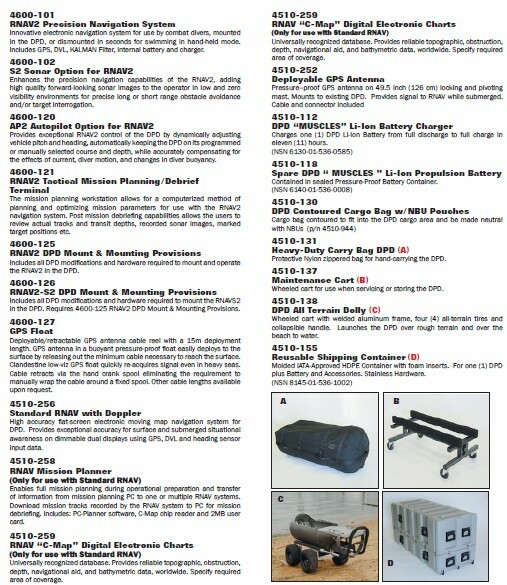 The number of these vehicles in service with SAT is classified. The quality of the video though does not let us to tell more about the exact Turkish variant. As I mentioned earlier, in this post you will find neither one photo that belongs to the Turkish SAT because I could find even a single one.. simply as that! 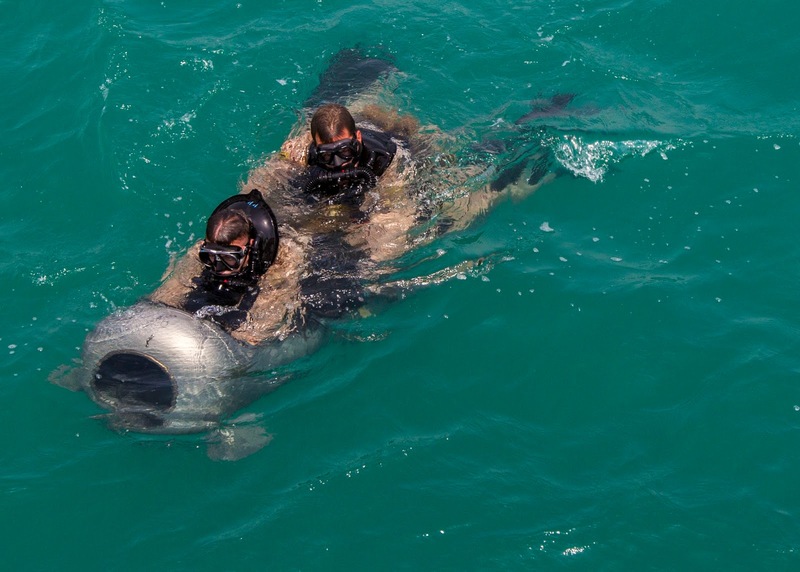 Therefore, the majority of the photos belong to the United States SOF. I would like to mention that this is not the field of my expertise, so I will briefly report the capabilities of these vehicles based on information reported on manufacturer's website. The U.S. made STIDD Diver Propulsion Device (DPD) is indeed the most widely used military-grade underwater mobility platform in the world. 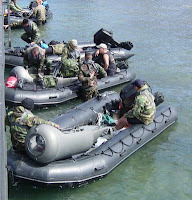 The company itself reports that over 450 units are in operation by US and International Special Operations Forces (SOF), including: U.S. Special Operations Command, United States Marine Corps, Navy Special Warfare Command, Army Special Forces Command, North Atlantic Treaty Organization (NATO) Members, Major Non-NATO Allies (MNNA) and Association of South East Asian Nation Members (ASEAN). The United States operate more than a hundred craft of the type and this can be verified by a request two years ago, by the U.S. Navy, for an overhaul and repair of 205 lithium batteries for STIDD Diver Propulsion Device (DPD)! Other users include Finland, Netherlands, France, Poland etc. 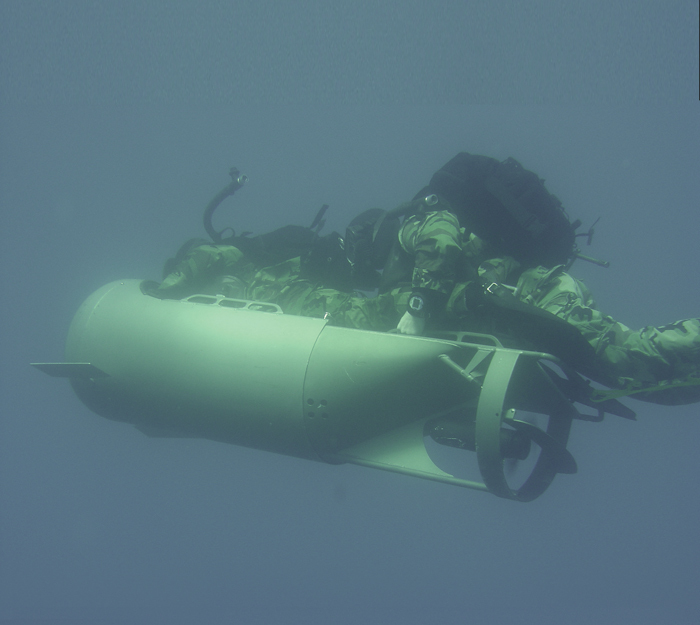 With hundreds of units in operation by maritime forces, the STIDD DPD offers combat swimmers a NAVSEA 9310 certified, ANU listed, underwater mobility system which is proven, fast, robust and reliable. 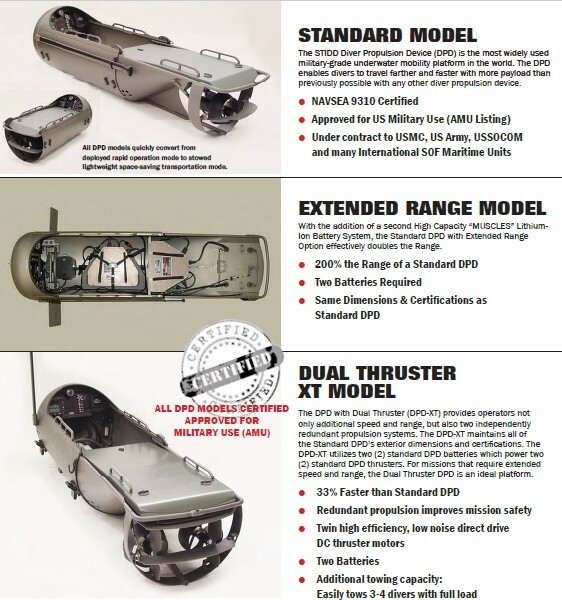 From the video it is not clear which exactly type has purchased the Turkish Navy, but from what it can be observed is that the device in the video has a single thruster and thus we can conclude that SAT uses the DPD-TEC2, the Standard version of the three models offered by the manufacturer. Nothing else is known about their equipment. Also, the Turkish DPD looks like it is camouflaged. 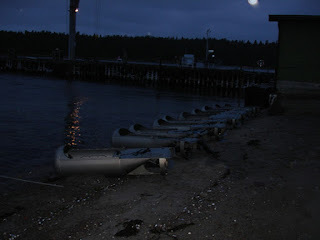 Standard DPD propulsion is a 26VDC steerable electric thruster powered by a “MUSCLES” Lithium-Ion (Li-Ion) battery system. The electronic “Battery Status Indicator” continually monitors battery condition and displays time remaining. 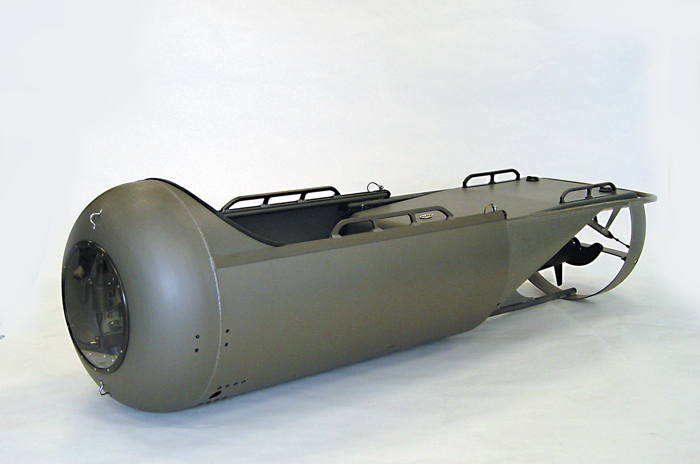 The STIDD DPD is a combat diving vehicle designed to transport two fully equipped combat divers and additional equipment on long range missions. 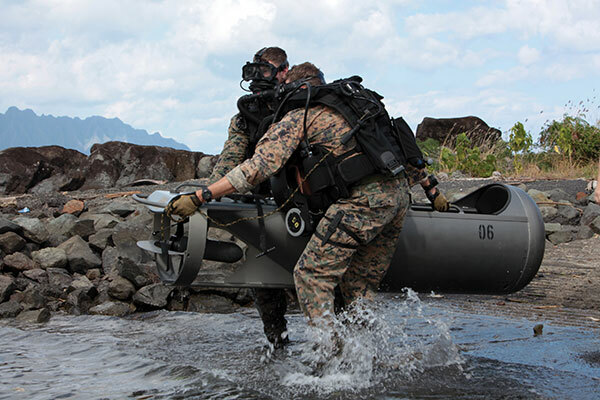 It is employed as a clandestine insertion platform by combat divers with the Navy SEALs and USMC units such as MSOBs, Force Recon and Battalion Recon. Other users include Army Special Forces SCUBA teams. 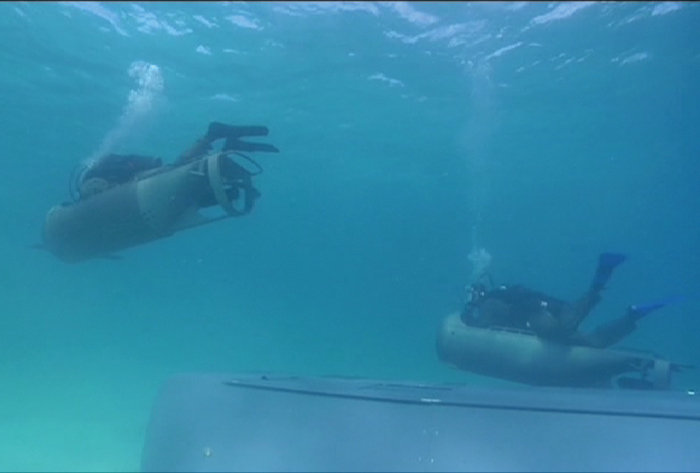 The devices allow combat divers to travel considerably further under water and emerge less fatigued than when moving under their own power. 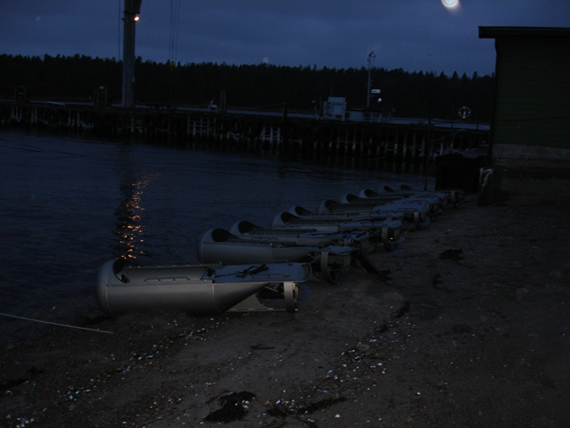 The devices feature hard coat anodized hulls made from welded marine grade aluminum. Buoyancy is provided by a closed cell PVC composite core. 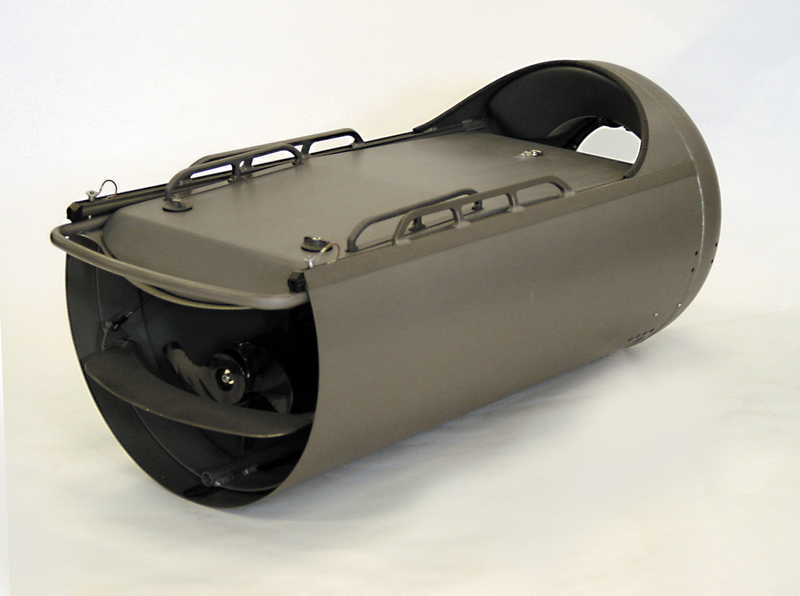 The front of the DPD features a clear polycarboante faceplate. 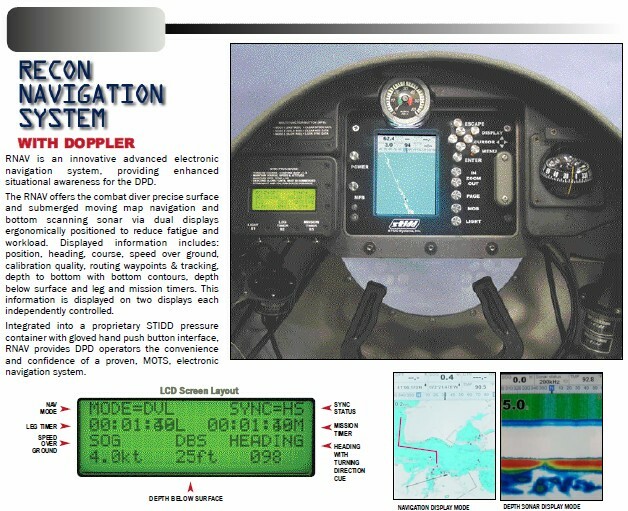 The device is equipped with a depth gauge, magnetic compass, and light stick tube which illuminates both instruments. 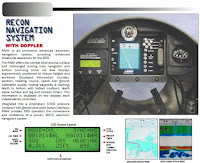 The DPD may be fitted with a sophisticated electronic navigation system, including SONAR and Doppler Capabilities as well as with a Deployable Mast/Antenna. A bunch of US DPDs ashore. The length of the craft is 2.23m when it is deployed (stowed 1.38m) and the beam is 1.08m (stowed is 0.61m). 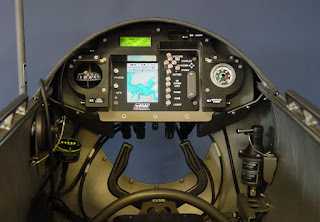 The craft can operate on the surface as well with very low profile. The maximum operational depth is 41 meters. 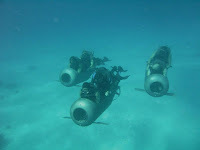 The capacity is one or two divers but it can tow up to four additional divers. 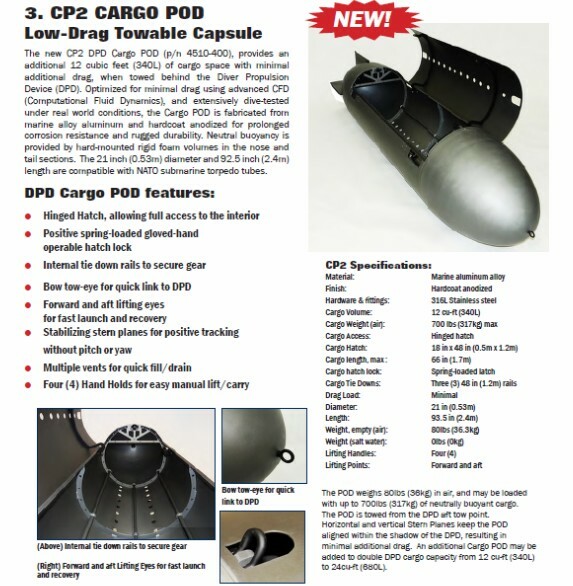 The DPD is lightweight and can easily be launched or recovered by two people over the beach or over the side of a support craft. 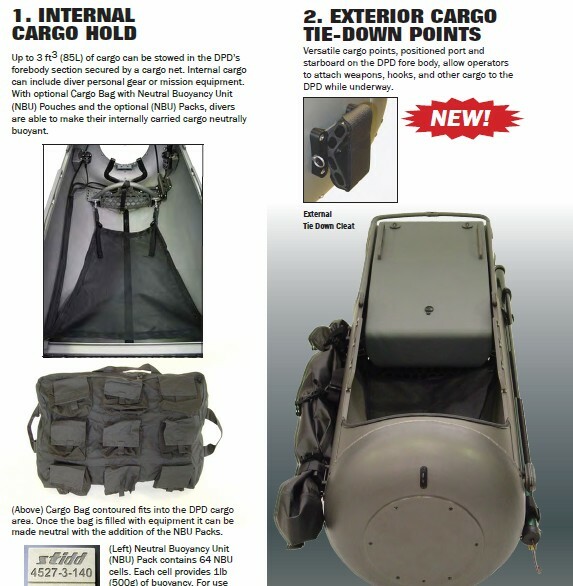 The DPD, ready-to-run, fits easily in a standard Air Drop Bag for parachute deployment. 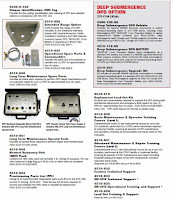 You can watch some interesting videos of how a DPD is used by USMC Force Recon Team, here and here. 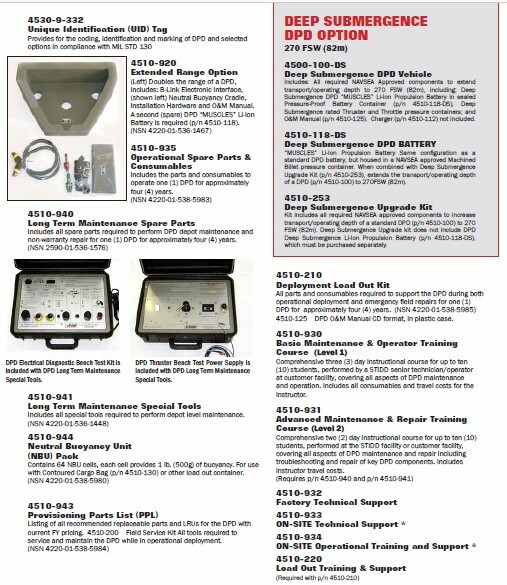 There are a lot of options for the equipment and accessories of the craft which are depicted below. 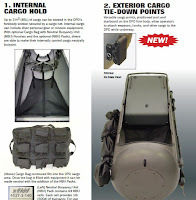 The DPD provides combat divers three (3) versatile options for carrying combat equipment to include; Internal, External, and Towable POD, which are all posted below. 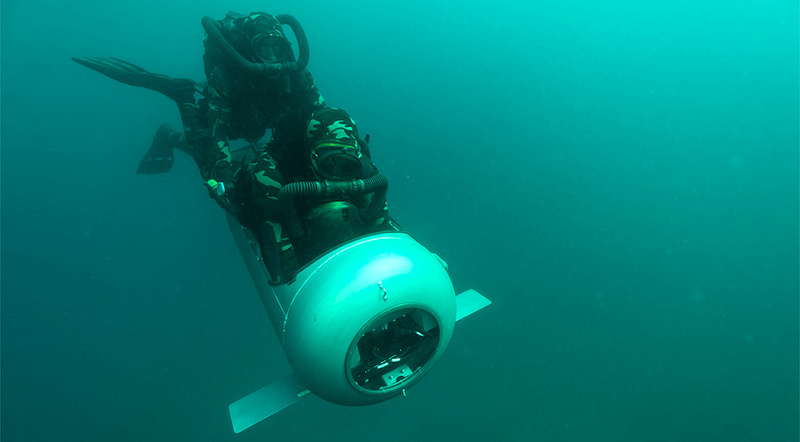 Turkey's SAT teams use an indigenous STIDD Diver Propulsion Device (DPD) called the "Dalgıç su altı intikal aracı" ("Diver Underwater Transport Vehicle") which was developed by Istanbul Technical University in 2012 under the supervision of Prof. Dr. Yücel Odabaşı. It was financially supported by the Under-secretariat for Defense Industries. 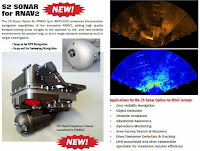 This is a Istanbul Technical University research paper in Turkish which lists the indigenous underwater vehicles (including Diver Propulsion Devices (DPD)) developed in Turkey and compares them to internationally available platforms. The Tubitak designs are noteworthy. Thank you very much for your comments! Interesting information. 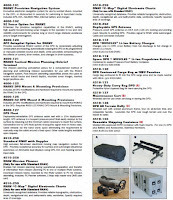 I have the paper already but I did not find any DPD reference, only about autonomous underwater vehicles. Can you point out, in which page the authors write about DPDs? Nice article D-Mitch.But the DPD footage belongs to CANSOFCOM(See 1:32 in https://www.youtube.com/watch?v=8dWYlgl_6x4).This specific segment was used by SAT command in their own promotional video.There can be multiple reasons for this but in my opinion(no source for this)the command doesn't have any DPD's at their disposal for the time being. Thank you for your comment.I would not have published this article if I was not sure about it. As the majority of the promotional videos use photos or scenes from movies or even other forces'exercises, the SAT video is not the exception.Turkey has a small number of these craft, either STIDD either an indigenous variant of it. 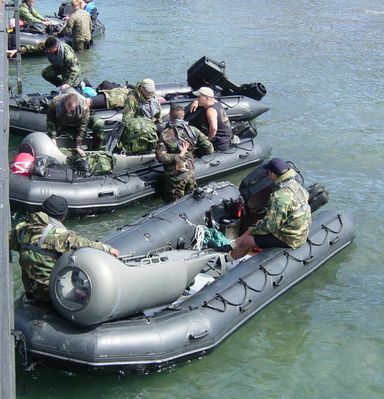 However, many Turkish Companies also produce and supply the Turkish Naval Forces with indigenous variants.